The small town of Babylon, Florida, is rocked by the sudden disappearance of Margaret Larkin. When she’s discovered, a pallid shade of blue, tied to her bike in a neighboring swamp Granma becomes unconsolable and jumps to an immediate conclusion as to who the killer might in fact be. Another tome I need to seek out. Based on Cold Moon over Babylon by Micheal McDowell, who also penned The Nightmare Before Christmas and Beetlejuice this film titillate and captivates it’s audience with a delightful pace and setting circa 1989. Fueled by top notch acting, scenes that flow and an original, effectively haunting, score (that’s equal parts classical string and synth) the storyline flows seamlesslessly from a small town, close knit, Southern hospitality Fargo type vibe to that more akin to the chilling pulse pounding nature found within both Evil Dead movies and, more recently, Drag you to Hell (ironically by the same creative team). Josh Stewart (The Collector, The Dark Knight Rises) stands out in a performance that will strike relatable chords with most viewers. He portrays a banker, everyones favorite type of business man, driven by greed (no surprises there!). He has no qualms in advertising his vices, young women and an unrequited love for hard liquor. More than three quarters of every scene he’s in sees him cradling a bottle to his lips, so theres no wonder that he suffers from startlingly vivid and ghastly hallucinations and the occasional narcaleptic moment behind the wheel (don’t drink and drive folks, that’s unfathomably stoopid!). Christopher Lloyd has a bit part as a grumpy old coot who’s unable to tear his gaze from his youthful ward, who incidently and rather surprisingly clings to Stewarts character, Lloyds son, like a barnacle. Yeah, six feet under. It’s the standard practice. Babylon’s sheriff is portrayed convincingly by Frank Whaley (Field of Dreams, Pulp Fiction) who oddly manages to sidestep more than the occasional ‘red herring’ to shatter the stereotype most have of small town law giving types. Cold Moon is a startling discovery, a cinematic gem in a landscape overrun with reboots and unoriginal jump scare fests. Boasting chilling scenes, an excellently written, cohesive, script complete with backstory flashbacks (given a cinematic, grainy vibe as to give a surrealistic effect, adding anything more would be giving away spoilers) and an epic haunting soundtrack Cold Moon serves to effectively incite and invigorate the viewers love for the genre by offering that which many a recent film has been unable to. 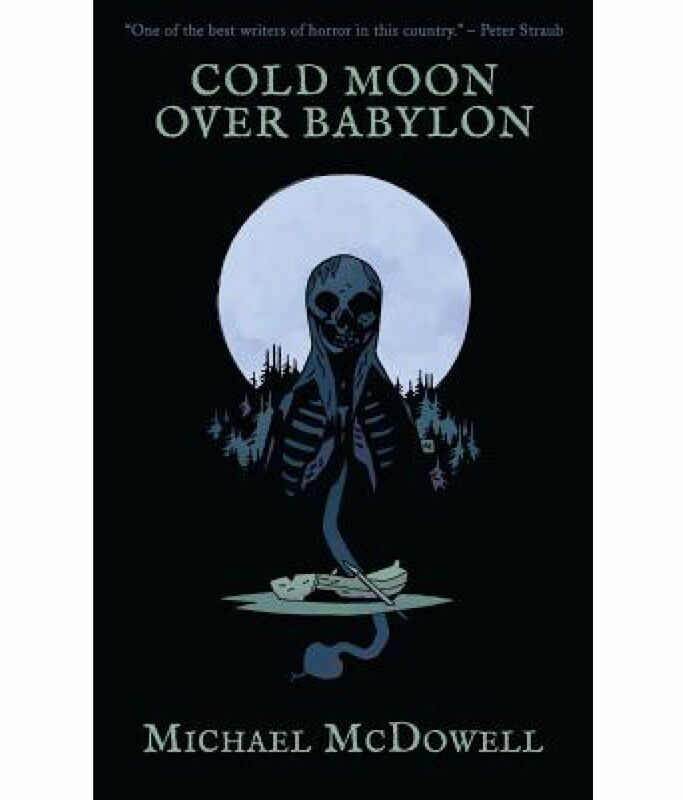 Give Cold Moon an hour and a half out of your schedule, make room for it and give voice to celebration. There is more than merely the seemingly unstoppable cavalcade of shambling undead features and unoriginality to be discovered, fear not the horror genre is far from discoloration, and obtaining that rather unmistakable pungent odor that comes from lack of circulation and interest. Add this to the success of another recent very successful cinematic, albeit another adaption, affair with a scary clown motif and the future for fans of the genre looks bright indeed. Your slave to cinema macabre, obscure and obscene.